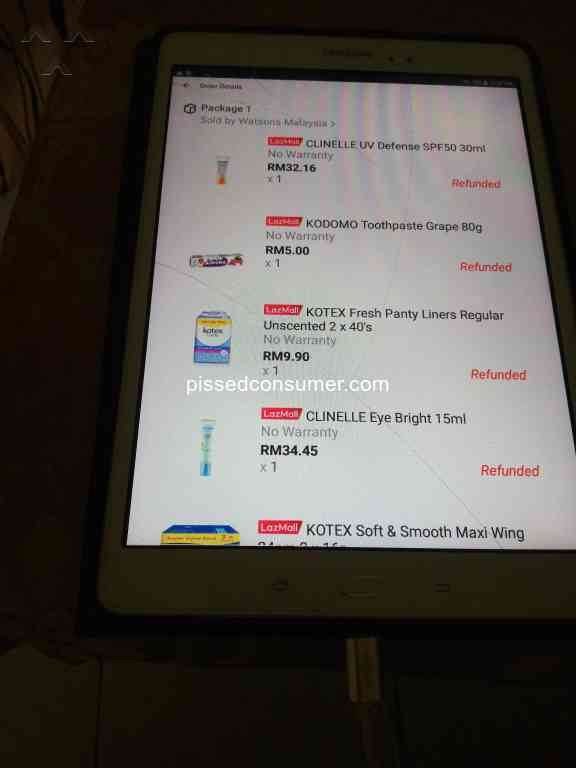 Paid for LCD monitor,next morning canceled..reason wrong pricing..so many complaint of rejected order online..refused to revalidate rm150 voucher..give excuse my HP number tied to multiple account..i suspect purposely advertise invalid item..so people will be duped into purchasing the item and seller proceed to cancel the order..waiting time for refund process is so long..imagine like 1000 people conned like this..instant cashflow for lazada!! Item not received although supplier says it was delivered. USELESS chat line and no one to talk to to solve the problem. Other items having delivery problems. I want to cancel the order but I get a message that the order cannot be cancelled anymore. Customer care chatline is totally useless: overloaded, so not responsive, and when responsive gives illogical or incomplete replies then goes into non-responsive mode. No customer care agent to CALL AND TALK TO. This is the second time I try to order via Lazada. I tried last year and had very delayed delivery so I cancelled the order. This time I cannot even cancel or solve my problem. I should have learnt my lesson that I SHOULD NEVER ORDER AGAIN FROM LAZADA. There are scam on lazada web side. Seller using them to ask for money from buyer. Dont believed them if they ask for money. They will ask again and again. How come lazada no control on seller trustworthy? 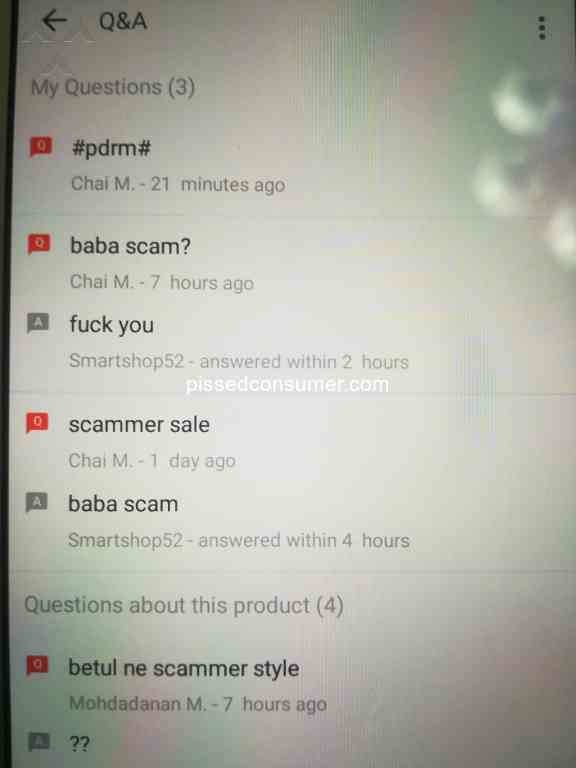 Simply can allowed people doing business even dont k ow the background of the seller. Dissapointed with lazada. Lazada Malaysia - Confirmed Order Sudden Out Of Stock ! 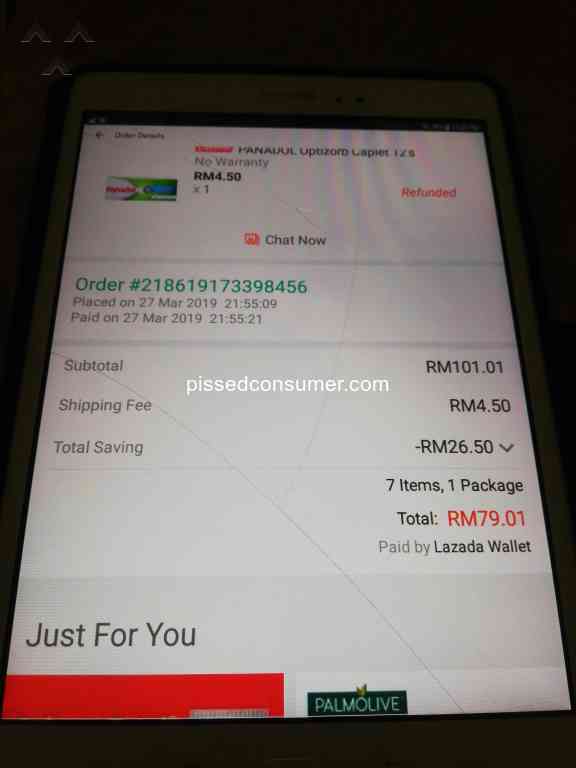 Lazada Malaysia - Misleading information on merchant location.